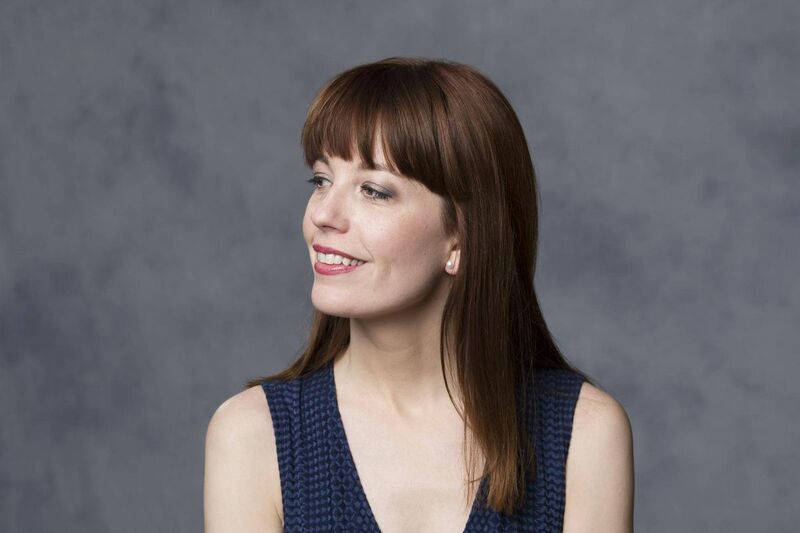 Vancouver's Arts Club Theatre Company has named Ashlie Corcoran as its new artistic director – one of the most prominent arts positions in Western Canada. Ms. Corcoran is a respected theatre director who is currently artistic director of the Thousand Islands Playhouse in Gananoque, Ont., and artistic producer of the independent company Theatre Smash in Toronto, in addition to handling a busy freelance schedule – including directing the musical Me and My Girl at the Shaw Festival this summer and The Magic Flute at the Canadian Opera Company earlier this year. The icing on the cake is that Ms. Corcoran, 38, is a local to the Vancouver region; she was born and raised in White Rock, B.C. "It is like winning the dream life lotto," she said on Wednesday, a few hours after the announcement was made public. She will replace long-time Arts Club Artistic managing producer Bill Millerd, who will retire in 2018, during his 46th season leading the company. Ms. Corcoran will join the company in October, when she will begin programming the 2018-19 season, bringing new blood and vision – and tonnes of enthusiasm. "It has always been the dream job, right? This incredible theatre that produces such great work that is so well run, in the city that I love and just want to be in, but I also kind of thought Bill would be there forever. It never crossed my mind that that job would ever actually become available." Ms. Corcoran earned her undergraduate degree in drama at Queen's University in Kingston, Ont., in 2001, after which she worked at the Tarragon in Toronto for two years. She got her master's degree in directing from Goldsmiths College at the University of London in 2004. In 2005, she returned to Toronto, where she founded Theatre Smash and launched her freelance career. She joined the Thousand Islands Playhouse at the end of the 2012 season. She starts at the Arts Club in the fall, 20 years after first leaving B.C. Eager to return to B.C. – where family members range from a 10-year-old nephew to her grandmother, who turns 97 this summer – Ms. Corcoran took advantage of trips back home to knock on doors and look for work. Last year, the Thousand Islands Playhouse and the Arts Club were involved in a co-production of Lucia Frangione's In a Blue Moon, (along with Western Canada Theatre) and Ms. Corcorn spent time with Mr. Millerd, who toured her through the company's new BMO Theatre Centre. She was impressed with the space and Mr. Millerd's generosity. She says she was thrilled when she was invited to apply for his job. The company received more than 35 expressions of interest in the position, from Canada, the United States and Britain, according to a news release. There was a great deal of scrutiny of the process and some controversy when concerns were expressed about a lack of artistic involvement in the hiring. The Arts Club's news release states that 28 Vancouver-based theatre artists participated in the consultation process. In going for the job, Ms. Corcoran stressed artistic visioning, financial stability and organizational readiness. "It's the triangle that creates a strong arts organization," she says. She imagines the Arts Club as the principal gathering place for participation in the arts in British Columbia – partnering not just with other theatre companies, but companies from other disciplines as well. Through co-productions and other means she hopes to get the Arts Club more firmly on the radar out east. "I want everyone to know across Canada what's happening at the Arts Club," she says. "I want our work to have more impact nationally." Professional development is also important; she cites the two-year residency Smash recently had at Canadian Stage as a successful model. She plans to continue the work Mr. Millerd has done to commission new Canadian plays and advance the company's role in that area. She is also big on diversity and inclusivity, and immersive and participatory programming. She talks about taking down barriers between audiences and the art, and bringing new people into the theatre. "It's all about building on Bill's legacy. It's definitely not coming in and changing things. There's already such a strong structure. The Arts Club is in such an organizationally and financially and artistically strong place right now, and that's thrilling because a lot of theatres across Canada are not in such a strong place. "I want us to be artistically adventurous, financially stable and organizationally healthy," she continues. "And I'm just so excited to get started."